Fibromyalgia is a pathology characterised by chronic pain of the muscles, tendons, ligaments and periarticular tissues, often associated with sleep disorders and problems with concentration, anxiety and depression. Both biological and psychological factors contribute to its onset and an integrated therapeutic approach, involving various professional figures (psychiatrist, psychologist and rheumatologist) proves more effective for sufferers. This book offers the most up-to-date scientific information regarding the characteristics, causes and possible treatment of fibromyalgia and accompanies readers step by step in a psychological self-help programme that will help them more effectively deal with pain, significantly improving their quality of life. 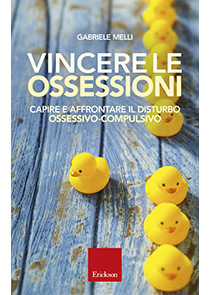 In 2018, Eclipsi, a publishing house with more than 10 years of experience in the areas of psychology and cognitive-behavioural psychotherapy, joined the world of Erickson. 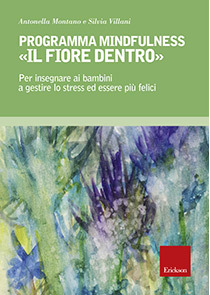 Thanks to this choice, Erickson strengthens its presence and publications in the psychology and psychotherapy sector, taking advantage of the scientific advice of the Institute of Psychology and Cognitive Behavioral Psychotherapy in Florence (IPSICO), a research and training institute active for over 20 years. With the acquisition of the Eclipsi catalog, which is of unquestionable scientific importance, the Erickson catalog extends its proposals to all readers, with volumes of informative cut, and towards the community of professionals, with useful volumes for clinicians in therapeutic work. The general readers will find that the self-help titles present a clear and detailed picture of the symptoms and characteristics of the main psychological disorders and their related intervention possibilities. The professional readers will find valid tools and support for study, research and clinical activity. Overcoming depression is difficult, but possible, often without the help of medication. Cognitive-behavioral psychotherapy helps to modify the negative behavior and the modes of dysfunctional thinking that trigger and maintain it. With simple but precise language and through numerous examples and practical exercises, this self-help manual accompanies the reader step-by-step on a therapeutic path. 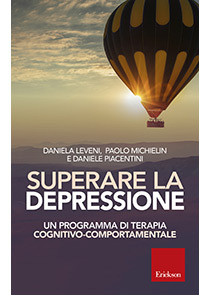 This book illustrates in detail the characteristics and possibilities of treatment and proposes a cognitive behavioural therapy based self-help program. Designed for those affected by this problem and their families, it is also an excellent tool for professionals to use during psychotherapy treatments. 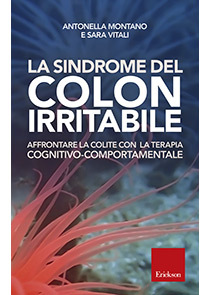 With simple but scientific language, illustrative examples and numerous exercises, this self-help manual accompanies the reader step-by-step on a path aimed at modifying behaviors and styles of thought that feed the problem, as well as managing the stress and difficulties caused by gastrointestinal symptoms. 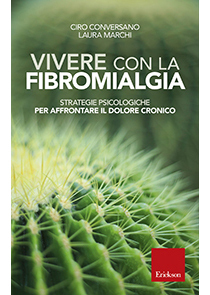 This book offers the most up-to-date scientific information regarding the characteristics, causes and possible treatment of fibromyalgia and accompanies readers step by step in a psychological self-help programme that will help them more effectively deal with pain, significantly improving their quality of life. 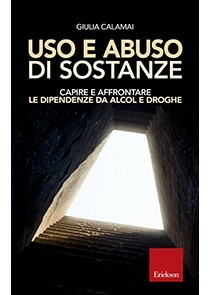 This book is intended to provide recent information on the Substance Use Disorder (SUD) and the main factors that contribute to increasing the vulnerability to it, as well as indications on the main treatments available. A structured guide for the application of a program for teaching mindfulness meditation aimed at children aged 6 to 12 years. This program can be proposed as a training project at school or as an independent extra-scholastic activity. 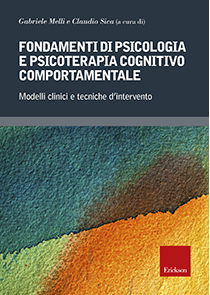 The aim of this book is to provide those who approach the methodologies of cognitive behavioral therapy for the first time with a comprehensive overview of all models, and the strategies that derive from them, with particular attention to the implications of application and a wide range of practical examples.